I Have Run: Things I Love Thursday - Winners! Is it Wednesday yet? For some reason, I had in my mind that the giveaway would end today. So sorry for the delay. I hope none of you waited up until all hours of the night for this post. Welcome to the new followers! I'll be checking out your blogs ASAP! And I hope you'll stick around, even though there aren't awesome arm sleeves up for grabs anymore. You can however get a pair from INKnBURN right now. And if you haven't checked out their shirts yet, do that now. In fact, you can get free shipping and two free glow in the dark RUN or DIE bracelets with your order this month by using the checkout code MarchMad. Thanks to Charlie and the awesome people at INKnBURN for hosting this giveaway! And congrats to the winners. Please send your mailing info to ihaverun@hotmail.com. Congrats to your winners on some great gear! ...oh, I actually ran past my car (and my cool Runnerd sticker) on the last .9 of the race so everyone got to see it. Yeah. They are all jealous because nothing defines Runnerd like a little 6 hour run in the mud! Yay! I'm so excited to wear these. Emailing you now. Thanks a bunch! 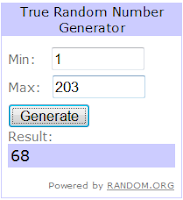 A little late, but Thank You for hosting the most awesome giveaway ever and for picking such deserving winners. My skinny arms are just gonna love these sleeves.